A mother's worst nightmare: the subway doors close with her baby son still on the train. In this suspenseful debut novel, a woman goes to unimaginable lengths to get her child back. 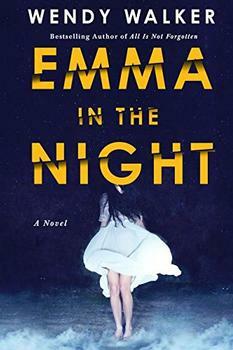 A struggling, single mother, Emma sometimes wishes that her thirteen-month-old son Ritchie would just disappear. Then, one quiet Sunday evening, after a sinister encounter on the London Underground - Ritchie does just that. but who exactly is the real enemy here? At the top of the stairs, a group of teenage boys slumped against the walls with their feet out, taking up most of the passageway. They wore black puffy jackets and had the same expressions on their faces: blank, hard, bored. Emma heard their voices from around the corner, echoing off the tiles. As soon as they saw her, their conversation stopped. "Excuse me," Emma said politely. Very slowly, they moved their feet back. There was just enough room for her to pass. She had to walk straight through the middle of the group, feeling their eyes on her. They watched in silence as she struggled down the steps with the buggy and Ritchie and all the bags. She was glad when she got to the bottom of the steps and around the corner. The tube platform was deserted and starkly lit. Emma checked behind her. The boys had not followed. The missing child plot, of course, brings to life every parent's worst nightmare. Equally unsettling, however, is the way in which Taylor brings to light many of the secret and ugly desires that mothers may occasionally have, but can only rarely articulate. (Reviewed by Norah Piehl). Many will devour in a gulp Abbie Taylor’s first-rate debut thriller...Taylor writes perceptively and poignantly about the powerful bond between parent and child. Taylor keenly depicts the bliss and terrors of being a parent. A roller-coaster thriller and a great read. An Alfred Hitchcock–like psychodrama drawn from a mother's nightmare. This first novel is driven by plot, and the roller-coaster ride...is compelling enough to grab and hold interest. Starred Review. British author Taylor's taut debut is a heart-stopper...Beginning with the gasp-inducing first chapter, readers won't exhale until the end. 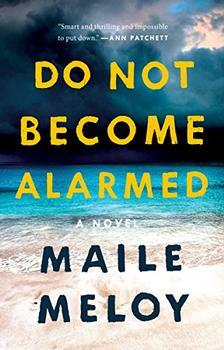 A sensitive meditation on the parenthood with all it's joys and hardships as well as an unputdownable thriller. Don't miss it!